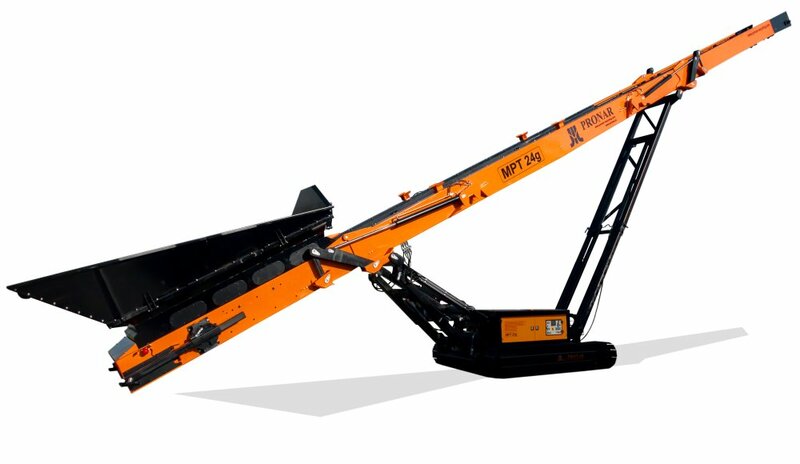 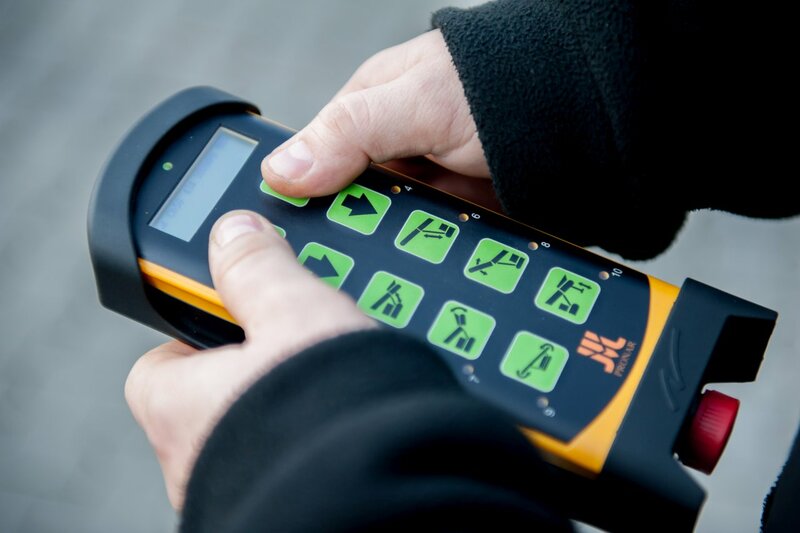 The Mobile Stockpiler PRONAR series MPT Heavy Duty offers the maximum unloading height of 8.5 and 11.3 meters, respectively. 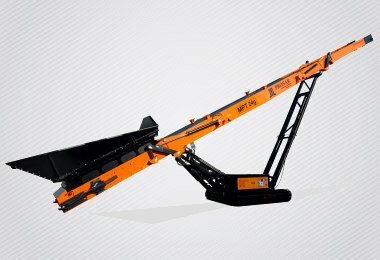 This allows to maximize the usage of the storage space of raw materials within the work area. 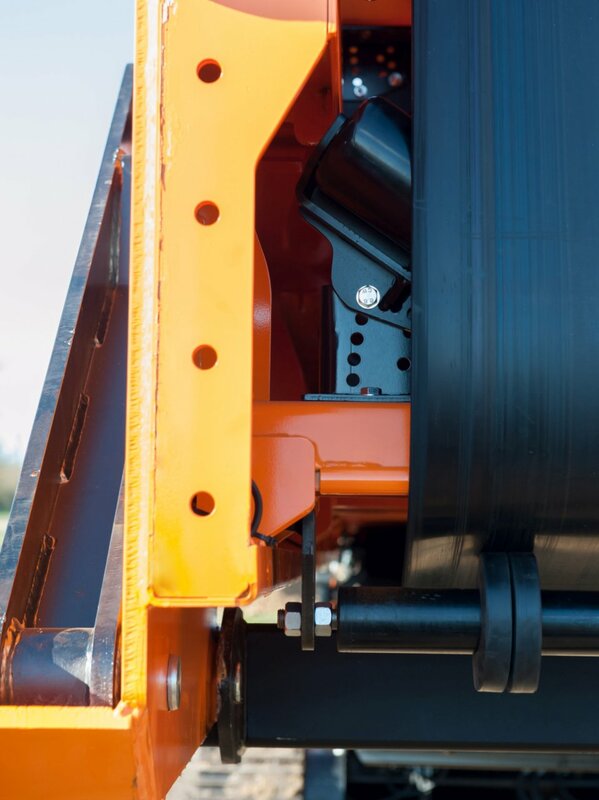 Tracked chassis allows the machine to move independently even in a difficult, uneven, stony terrain. 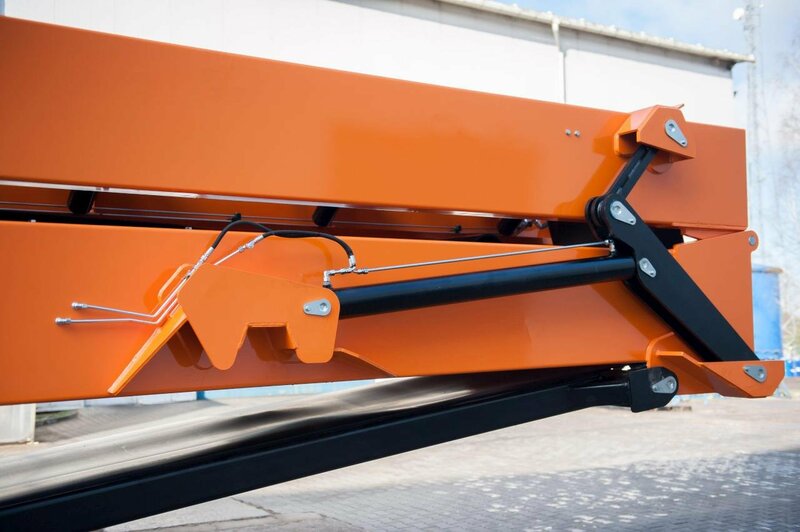 Compact dimensions of PRONAR stockpiler allows it to be carried on a low-bed trailers on the public roads without requesting special permits. 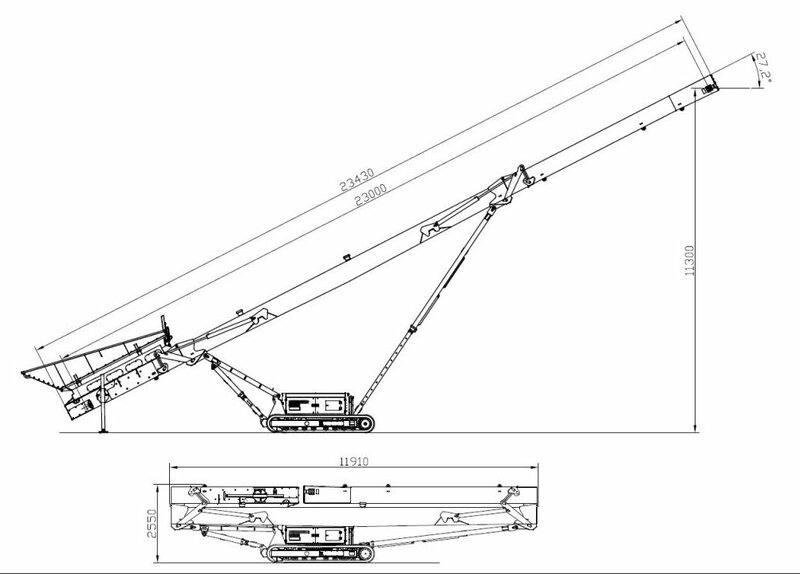 The maximum height allows the machine to be transported in 40’HQ marine containers. 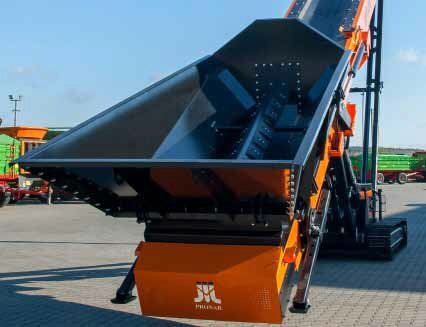 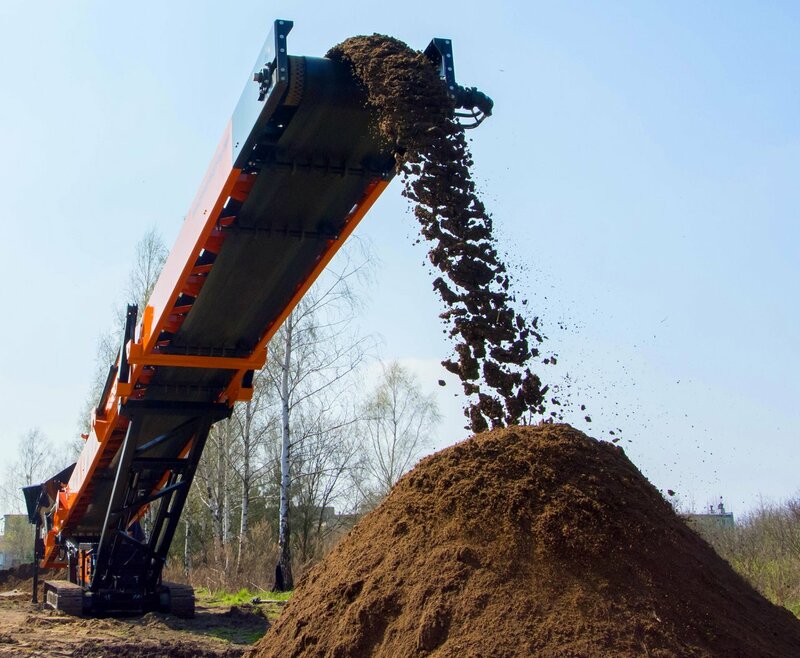 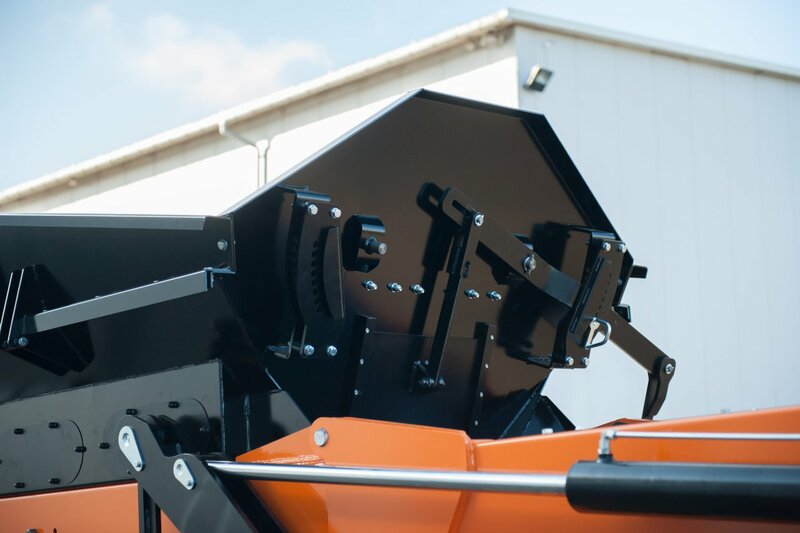 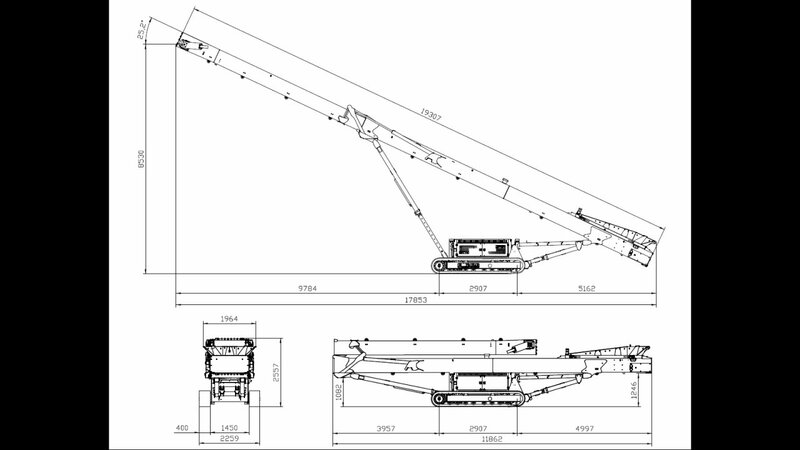 The durable and heavy duty frame construction have been designed for moving raw materials on a short distance up to 600 tons per hour.